Spring is finally here and I’m more than ready make a trade for some recipes on the lighter side. That’s where this refreshing beauty comes in. 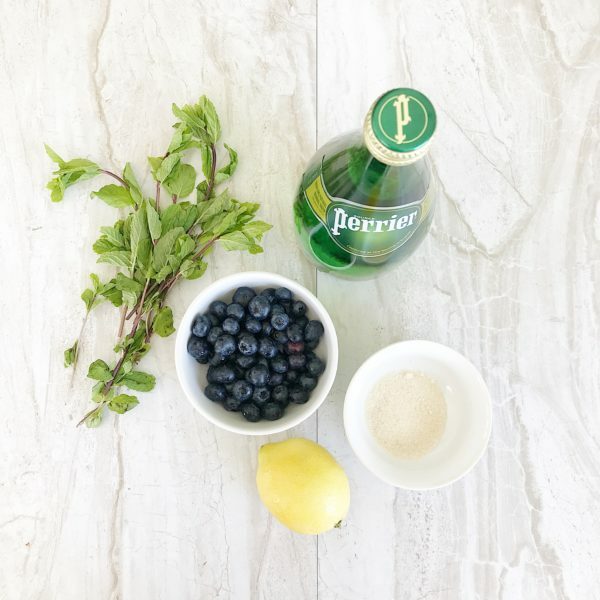 The combination of sweet organic blueberries, fresh mint leaves lightly muddled, and a splash of ice-cold club soda makes this drink the perfect way to transition out of the cold and into a long, relaxing summer ahead. Practice makes perfect. I decided to make a batch of this delightful treat ahead of time for a gathering. The blended blueberries and lemon juice thickened as it sat, making the beverage more like a slushy than a refreshing, bubbly drink. Lesson learned. Make it right before you ready to serve it and the results will be perfect! The thing I absolutely love about this recipe is its versatility. You can customize this beverage and make it your own using your favorite berries like strawberries, raspberries, blackberries, or maybe even delicious bing or tart cherries. Take this baby a step further and toss in a splash of rum for the perfect mojito. Cheers to a perfectly delightful summer! 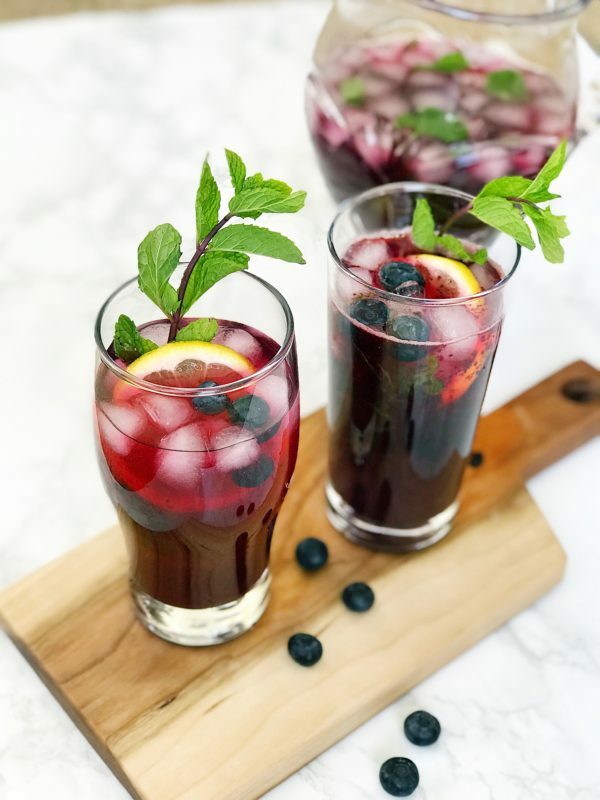 This Blueberry Mint Sparkle recipe a refreshingly healthy blueberry and fresh mint splashed with club soda for the perfect sparkling beverage to thirst any quench. Add blueberries, lemon juice, cane sugar, and water to blender. Blend on high until creamy. 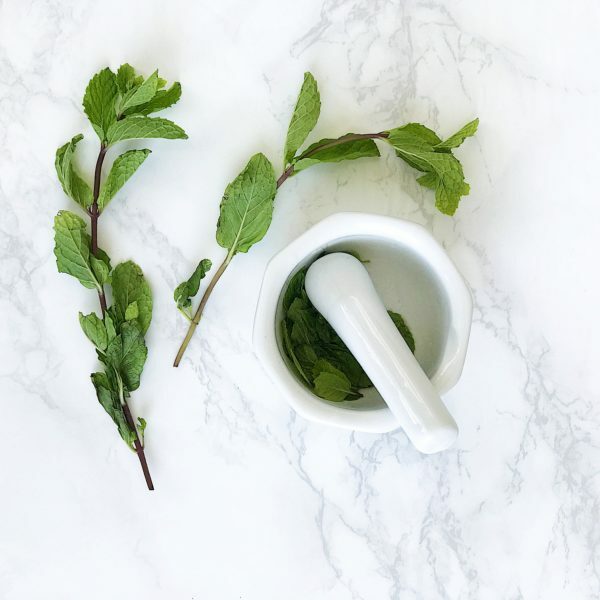 Place mint leaves in a cup or pestle. Using a spoon or mortar, gently muddle the leaves, twisting just a few times to lightly release the natural oils in the mint. Do not over-muddle or the mint leaves and your drink will become bitter. Add the mint leaves, blueberry puree, soda water, and 1 cup of ice to a water pitcher, stirring to combine. Adjust the lemon juice for more sour and sugar for more sweet if desired. Divide remaining 2 cups ice into 4 tall glasses. Pour juice over ice, garnish with mint sprigs and lemon slices and serve.